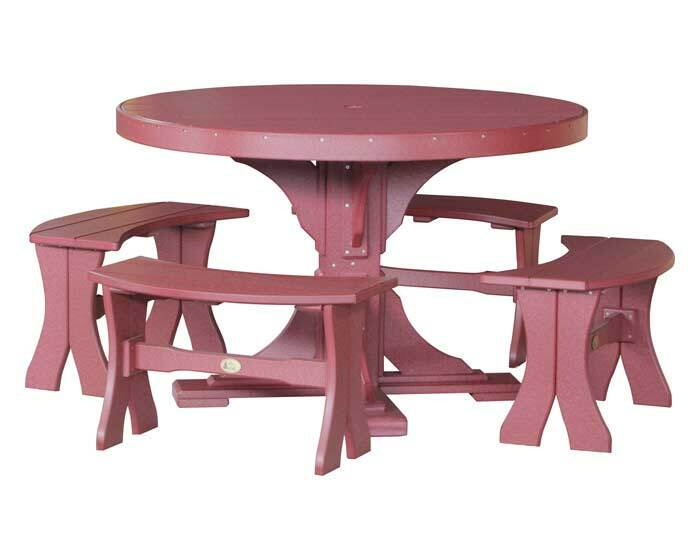 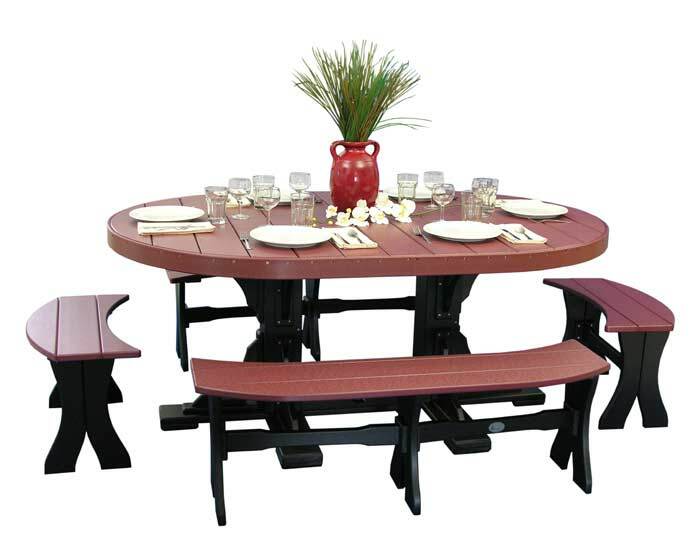 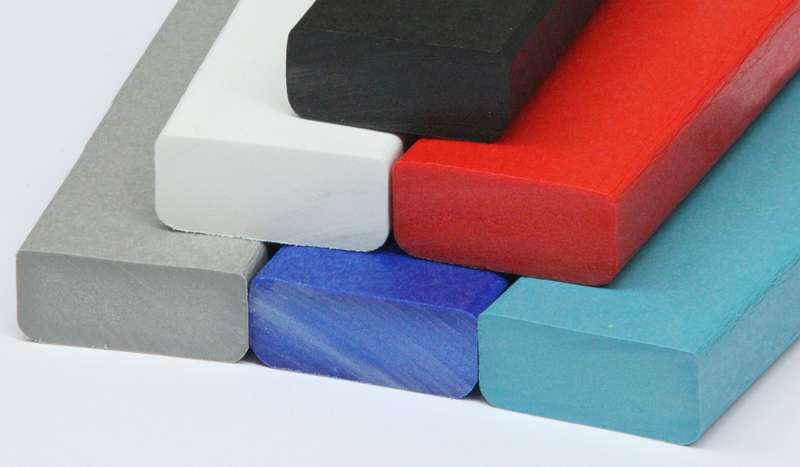 These 4′ round poly table sets are manufactured from 100% Recycled Plastic. 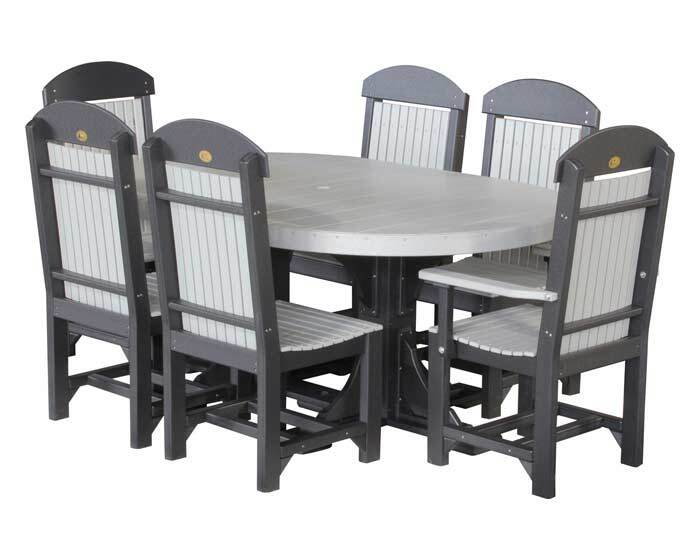 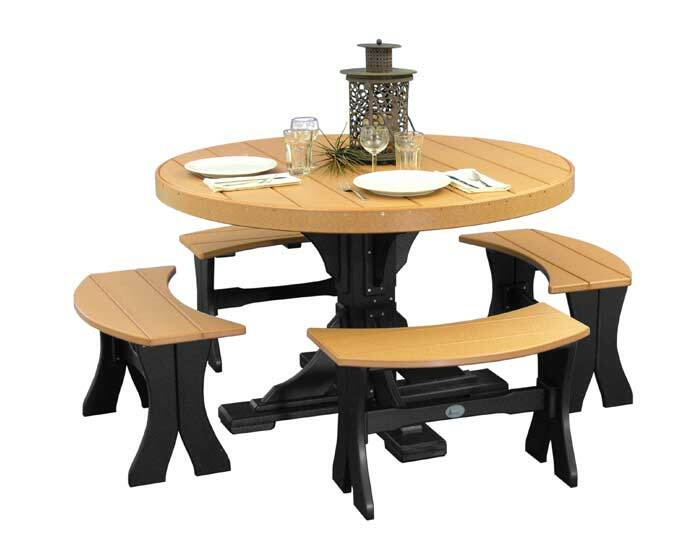 This beautiful outdoor dining set is fade resistant, won’t scratch or split, and is completely water resistant; backed by a lifetime manufacturer’s warranty. 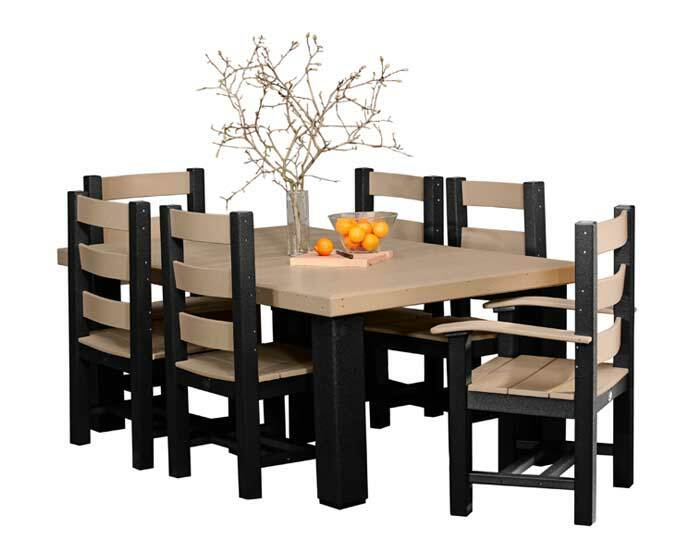 Poly dining furniture NEVER absorbs water and dries in minutes with a little sunshine.